Think Summit 2018 was a massive success, and we couldn’t have done it without you. 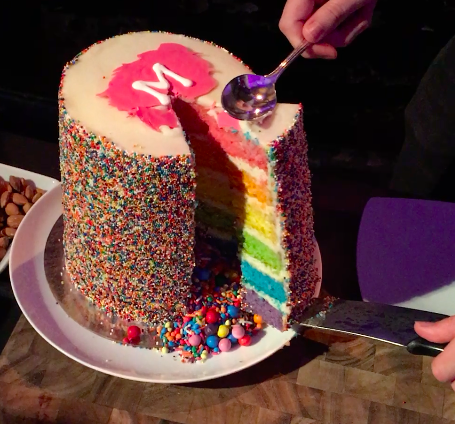 Today we announced our cross-channel visual experience platform, new augmented reality experiences, and we even shattered our own record of conference attendees, doubling the number from last year to over 500 people. We transformed Gotham Hall into a speakeasy, hosted a glam bar, and let’s not forget the tiny, beautiful desserts. Let’s take a deep breath and recap just a few of our wins from Think Summit 2018. 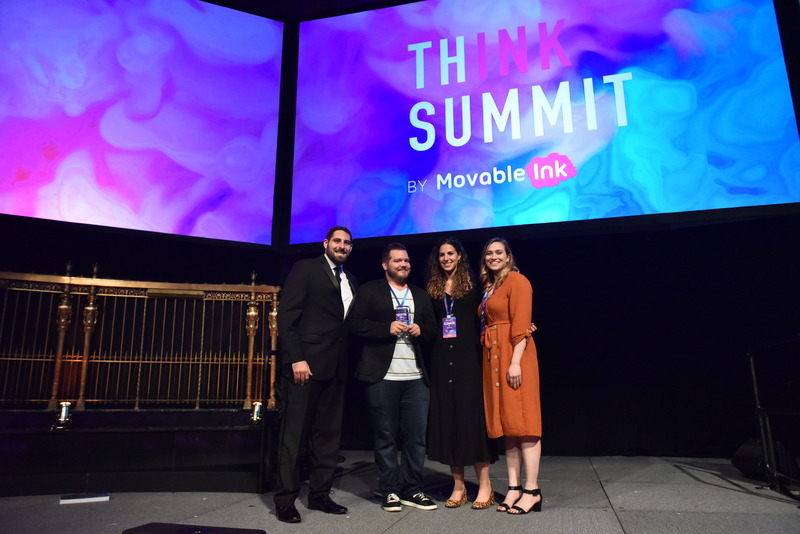 Today, at our third annual Think Summit, we announced that marketers can now create unique visual experiences across channels with Movable Ink’s visual experience platform. With Movable Ink, it’s never been easier to create beautiful, data-driven visuals at the moment a customer engages with their brand, whether it’s in email, web, or display. Read more about our new capabilities here. Movable Ink’s @vivsharma makes 3 massive product announcements at #thinksummit 2018 in front of 550+ of the most innovative marketers. Incredible moment in NYC…welcome to the visual era. We believe in visual experiences everywhere. Literally, everywhere. And everything from our Think Summit venue at Gotham Hall in New York City to Think Summit graphics were carefully chosen to provide incredible visual experiences. Ok, we had a lot of fun with AR. Especially in our choose-your-own activities portion of the conference, where everyone got to choose one of four pre-conference day mixers that best suited their interests. AR is so much more than wacky filters, though (read more about our AR capabilities here). As we heard from Saul Lopes from Virgin Holidays, AR is helping the brand drive engagement with their customers. That’s why Movable Ink is making investments in both AR and AI in an effort to help our clients stay innovative. More to come on that soon – stay tuned! Where do we even begin? We learned from marketing leaders representing Hilton, Credit Karma, American Express, Anheuser Busch, DSW, Verizon, ASPCA, and so many more! There were fireside chats, panels, and case studies with actionable takeaways. 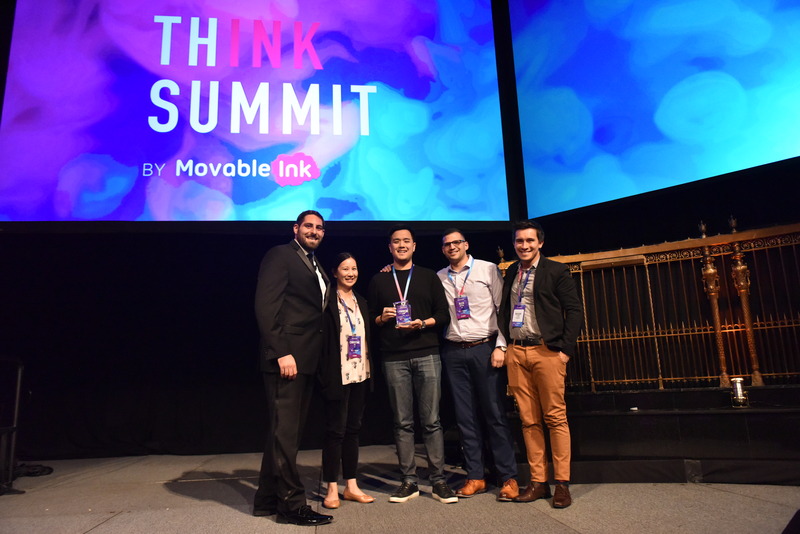 We found out how The Bouqs and TheStreet are leveraging Movable Ink’s visual experience platform and seeing amazing results. We can’t wait to share more incredible use cases in the weeks to come! Artist Phil Hansen helped us embrace our inner creatives. It’s no secret that Movable Ink works with some of the biggest innovators on the planet. We wanted to make it official and recognize our best and brightest clients. 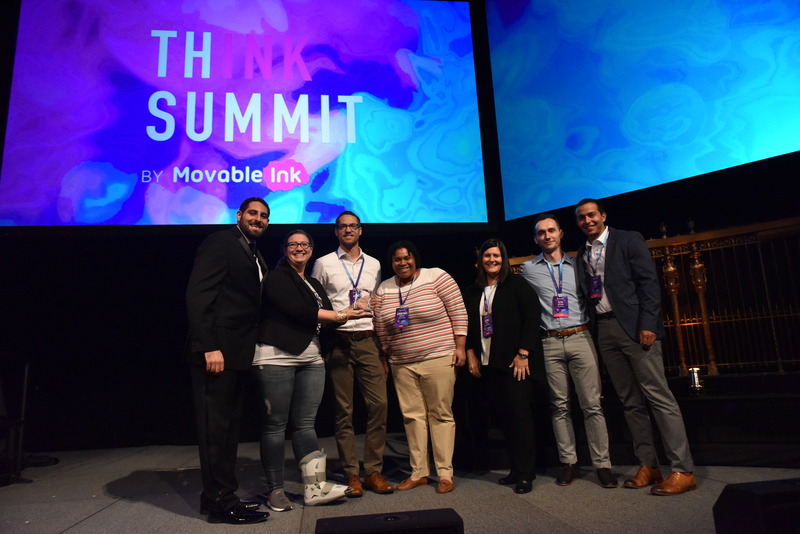 At Think Summit, we hosted an awards ceremony to honor them. Check out the winners below! A big congrats to all of our winners! We couldn’t have done it without our sponsors. We want to extend a huge thank you to our thought leadership sponsors: Persado and dotdigital. Our experiential sponsors were Emarsys and MessageGears. 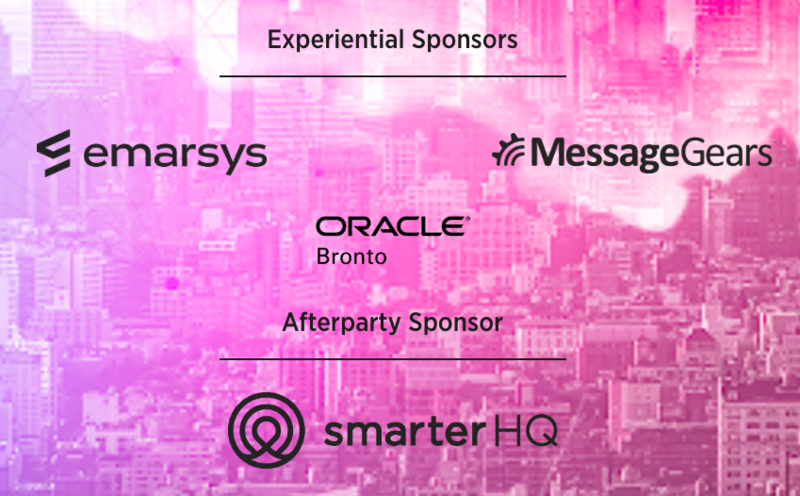 And we can’t forget our afterparty sponsor: SmarterHQ. We did mention we had amazing desserts, right? Oh, did you think we were done? 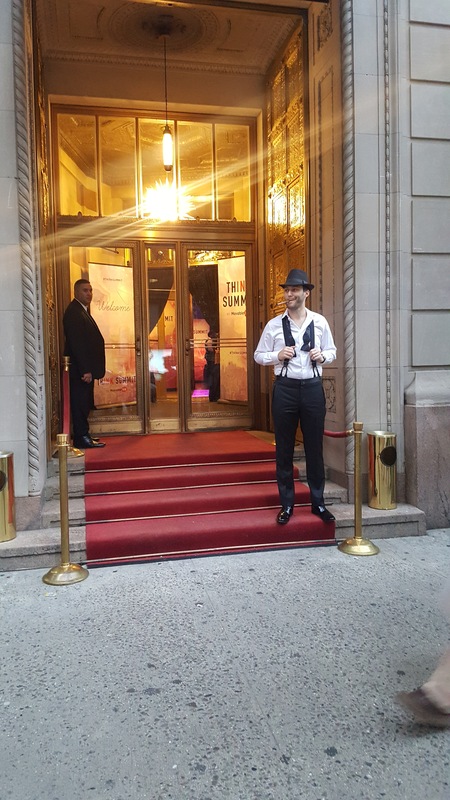 For the official Think Summit after party sponsored by SmarterHQ, we gave our guests an exclusive password that they could use to enter our 1920s-style speakeasy. We took the whole password thing very seriously. 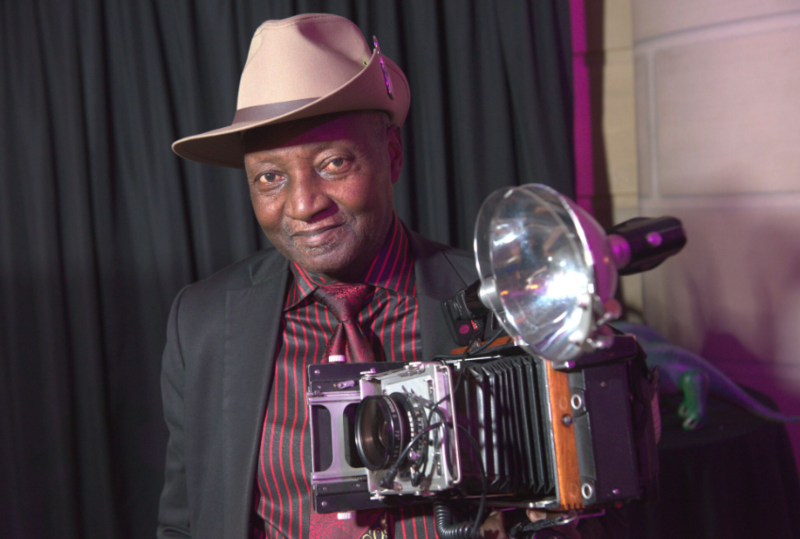 We had professional photographer Louis Mendes snapping photos with film (you know, the non-digital kind) using a vintage Speed Graphic camera. 2018 has been a year of growth for Movable Ink. In addition to our product innovations with our visual experience platform, the company has gained some serious momentum. We now have 600+ clients and a growing team of 200+ Inkers around the world. Of course, this is only the beginning. We want to thank all of our clients and partners who made this possible. We’re beyond excited as we look ahead to 2019 and beyond. 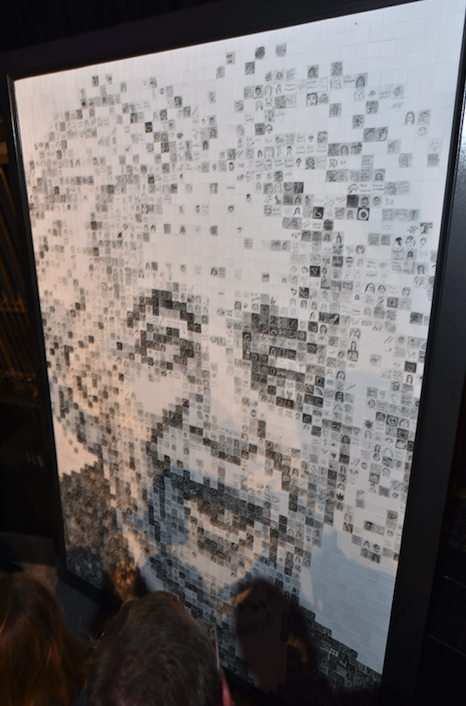 This entry was posted in Content Marketing, Events and tagged think summit on October 3, 2018 by Kristen Dunleavy.